Volkswagen's biggest independent shareholder is so mad about the diesel emissions scandal it's taking the company to court. Norway's state pension fund, which is the biggest sovereign wealth fund in the world, will join other investors in suing the company for failing to provide accurate, timely information to investors about its cheating on emissions tests. "Volkswagen informed the public about the incorrect emissions data after U.S. authorities released a notice of violation letter," the fund said in a statement. "We have been advised by our lawyers that the company's conduct gives rise to legal claims under German law." Volkswagen (VLKAY) admitted late last year that it fitted as many as 11 million diesel vehicles worldwide with software that could cheat nitrogen oxide emissions tests. But it only came forward after the U.S. Environmental Protection Agency alerted the world to the issue. The Norwegian fund had been building its investment in the automaker for years, and when the scandal hit the headlines its stake was worth about $1.2 billion. The stock plunged as much as 40% after the news broke, and the fund reacted by selling a chunk of its holdings, cutting its stake to about $720 million. The German auto giant falsified pollution tests by installing software (aka "defeat devices") to make vehicles appear cleaner than they were. Once on the road, the cars would pump out as much as 40 times the allowed level of nitrogen oxides. 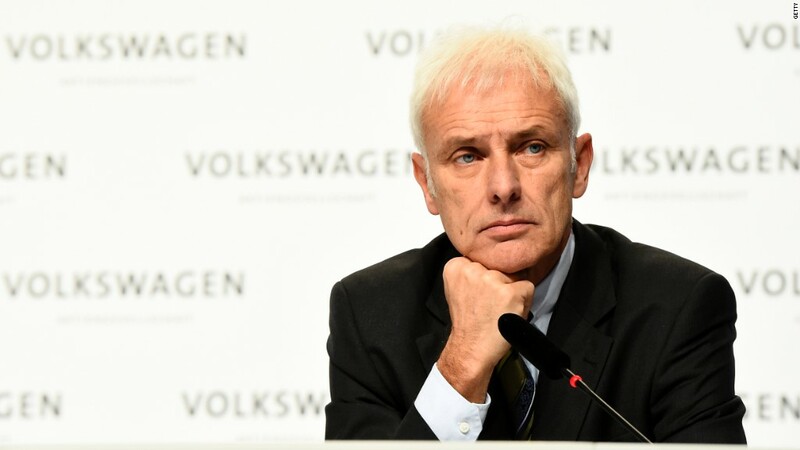 Other investors previously accused Volkswagen of violating its stock market duties by failing to keep investors informed about the scandal in a timely manner. Volkswagen said last week the preliminary results of an investigation had cleared current and former top executives at the embattled automaker of any "serious and manifest" wrongdoing. Volkswagen still faces criminal probes by U.S. and European authorities and has set aside about $18 billion to cover costs associated with recalls, car repurchases, criminal proceedings and various lawsuits. Of that, about $8 billion relates to legal risks, but the company has said that figure could rise significantly. At least 70 lawsuits have now been filed against the automaker. The latest data from FactSet shows the Norwegian Government Pension Fund owned a 1.7% stake in the automaker at the end of 2015, making it the company's fourth biggest investor. Volkswagen's top three shareholders are Porsche (POAHF), the German state of Lower Saxony and Qatar. They all have seats on the automaker's supervisory board. The bet on Volkswagen contributed to a year of poor performance for the Norwegian fund. The fund's assets grew by just 2.7% in 2015, half the average it achieved over the past decade.